Podcasts are a great way to educate yourself. Whether you’re on the train, in the car, at your desk, or anywhere in between, the podcasting medium is an incredible vehicle to supplement your industry knowledge. 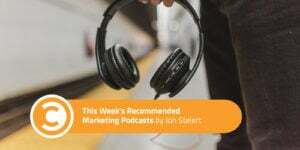 Every week, we will be sharing with you a round-up of some of the best marketing podcast episodes you can find, spanning the entirety of the marketing landscape. No matter if you’re new to podcasts or you’re a seasoned listener, I know you’ll find value in each bi-weekly round-up. Let’s get listening, shall we? 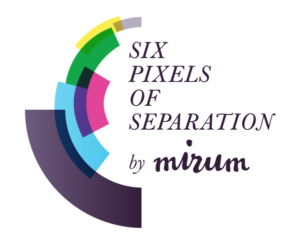 There is nothing like a podcast between Six Pixels host and author, Mitch Joel, and his frequent Six Pixels guest Avinash Kaushik, entrepreneur and Google’s Digital Marketing Evangelist. With all the buzz going on with machine learning and AI, Avinash fights back on much of the criticism being placed on these new tools and how the problem is, well, us. Avinash asks us to stay open-minded and keep our eyes on what machine learning and AI can offer to everyone. Takeaway: There is still a long way to go with these machine-powered tools, but the next 24 months will be very important to watch. One of the best lines from the podcast comes, of course, from Avinash, who says, “Deep learning will uncover the unknowns among the unknowns,” meaning we’ll find more opportunity thanks to these technologies. Definitely a thought-provoking conversation. 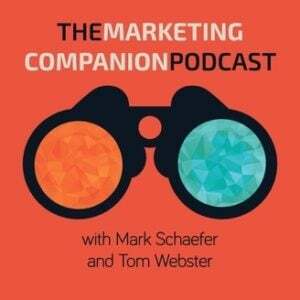 In this episode, best-selling authors Mark Schaefer (Schaefer Marketing Solutions) and Tom Webster (VP of Insights, Edison Research) offer up their views on Content Marketing World 2017 and break down the new presentations they delivered while there. Tom discussed the changing demographics of America, micro-targeting in political campaigns, and how Trump’s campaign data team gave marketers a blueprint of what it takes to be successful in the present day. Mark talked about how consumer loyalty is down considerably, thanks to the ubiquity of technology. Mark’s insights uncovered that consumers are incredibly interested in what companies stand for and what is going on behind the scenes. Takeaways: The need for greater consumer facing transparency continues to grow, and better analytics don’t always mean you have the best data—marketers still must go out and meet with their consumer to better understand them. 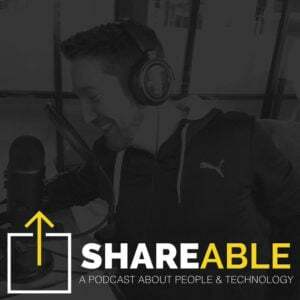 Host Jeff Gibbard (Founder and Chief Strategist, True Voice Media) gets into how using a CRM can help you close more business and manage more relationships. Guest Zvi Band from Contactly shares how to better use a CRM to organize leads and relationships. For small businesses and one to one industries, this is a must-listen. Takeaways: There are multiple ways to leverage CRM systems (which Jeff and Zvi get into at length), and how your business operates will dictate how you use your tool. Take a listen to see if you’re missing out on a key function or tactic for getting the most out of your relationship data! Since this is the first edition of Worth a Listen, I wanted to share one of my favorite marketing podcasts I’ve ever heard, with you. While it’s over four years old (20 in digital years), the conversation and lessons Mitch, Jay Baer, and David Brussin (Founder & Executive Chairman of Monetate) share around the bottom line impact social media has on intent is fascinating. Takeaways: Social media will never get the credit it fully deserves in the attribution process, regardless of industry. Social’s impact goes beyond clicks and direct response, but it is still our responsibility to be able to follow the social funnel the whole way through. That’s all for this edition! I’ll be back with a new batch in two weeks. In the meantime, if you have any podcasts that you think I should know about, let me know in the comments!